PACKET PICKUP There will be packet pickups at Fit2Run in St. Pete and Tampa the weekend and weeknights before the race, as well as on race morning. See the packet pickup schedule here. DIRECTIONS: The start / finish line at North Shore Park is easily accessible at St. Petersburg’s waterfront, just north of the Vinoy Resort! If you need to Google or GPS North Shore Park, please use 901 N Shore Dr NE, St. Petersburg, FL 33701 as the address. City officials have requested us to encourage our athletes to park at the Sundial Parking Lot, located at 117 2nd Street North for a flat fee of $5.00. Join us for our 2nd Annual St. Petersburg Distance Classic, on Florida’s west coast overlooking Tampa Bay. 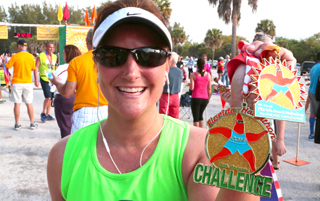 With a certified Marathon, Half Marathon, 10K, and 5K, plus a Virtual option, we offer something for everyone. ALL four race courses start out exactly the same for the first 2 miles – heading north into Snell Isle. While 5K participants return towards the finish line, all other participants will head north and around Coffee Pot Bayou before returning back towards North Shore Park. The Halfathon and Marathon head south along the waterfront, through our bustling downtown and onto Central Avenue which features a dynamic mixture of the best local shops found anywhere. Watch for an abundance of huge murals on Central Avenue’s building walls, as St. Petersburg is truly a well-know haven for artists of all types. At Mile 10, the Halfathon and Marathon courses split at the Pinellas Trail, with the half marathon participants heading east back towards the waterfront, and the marathon runners heading west to achieve their marathon mileage, before returning to the waterfront finish line. 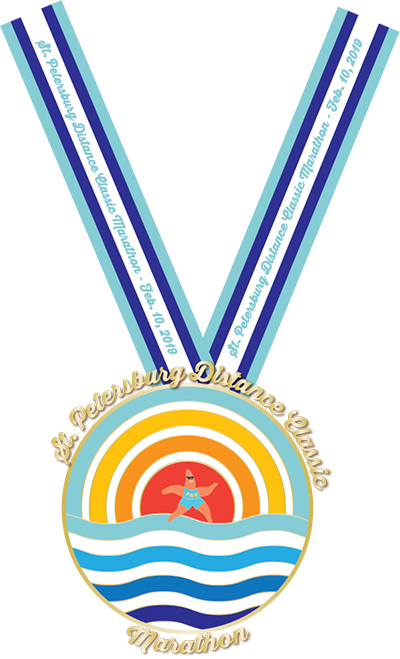 The St. Petersburg Marathon will be the first ever 26.2 mile race staged entirely in St. Petersburg. The marathon course has been accurately measured per USATF certification standards and certified (FL19019TY) and will therefore be a Boston Qualifier for 2020 and beyond. For our out-of-town athletes, our award-winning, white-sand beaches provide the perfect setting to relax. Ideal average temperatures (56° – 71°) make this an ideal spot for a mid-winter vacation wrapped around a long-distance run or walk. Finally, for athletes unable to join us on-site, we offer three virtual options: marathon, half marathon and 5K. Visit our Virtual Runs page for more information. We’re located in the beautiful Tampa Bay area, with races in St. Petersburg, Fort DeSoto Park, and Madeira Beach to Largo.